Eating whole foods is what we are meant to eat; it’s how our bodies are designed. Our bodies thrive on natural, whole foods. Whole foods are as close to their natural state as possible before they make it to your dinner table. And when you buy organic, they don’t contain toxins, preservatives, antibiotics, and other chemical nasties. Unfortunately, we do ourselves a disservice when we opt for highly processed foods. For example, mac & cheese is a terrific feel-good meal as long as you don’t read the nutrition label. You won’t feel so good when you realize it’s mostly fake food. The simple truth is we are not getting enough raw and minimally cooked plant-based foods into our bodies. And sadly, the tasty fast foods you’ve been eating day-in and day-out for years will come back to bite you. In fact, it’s almost inevitable. Eating whole foods lowers your risk of developing heart disease, obesity, diabetes, and many cancers. These are just a few rewards of eating whole foods most of the time. And when you transition from predominantly processed foods to mostly eating whole foods, your body naturally and automatically notices. Your body and mind respond rapidly when you replace your unhealthy meals with natural foods. When you give your body what it was designed to digest, mostly plant-based foods, the benefits can come quickly. But the transition to eating whole foods may not be easy. For one thing, you’ll be nixing the junk food for the most part. Since many people these days have busy lives, they grab what is fast and handy. And, let’s face it… it’s easy to pick up your dinner from a drive-thru window. More so than picking out your dinner from the produce and meat sections of your local grocery store. And you still have to cook your meal. But your “bag and grab” foods are loaded with simple carbs that are processed quickly and stored as energy blocks in your fat cells. More importantly, you’re not getting the nutrients and minerals your body needs. When your body realizes this, it sends out hunger signals. This is why you often find yourself hungry soon after eating processed food. Your body is desperately yearning for the minerals, nutrients, and vitamins lacking in your diet. So how do you turn this around? Do not despair. There are a few simple ways to feed your body healthy “real food” while avoiding unhealthier alternatives. Okay, that sounds silly, but let me explain. If it’s a food that comes out of the ground it is plant-based. Plant-based food, whether raw or slightly cooked, qualifies as whole food. These are mainly fruits, vegetables, and whole grains you already know. There’s nothing exotic here; just normal, everyday food. Eating mostly foods that are plants instantly moves you toward a whole food eating regimen that leads to overall health benefits. One simple way to start eating whole foods is to make a huge salad daily. 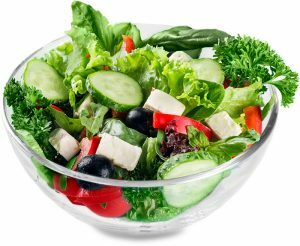 Your salad could include a combination of your favorite fruits, leafy greens, and vegetables. Eat this every day for lunch and add a protein source such as tuna or chicken breast. Eating whole foods means minimizing (not necessarily eliminating) protein-filled meat so there’s no need to deprive yourself. Eating this type of meal ensures you limit your calorie and carbohydrate intake. At the same time you are eating the right types of calories and carbohydrates. Your body is getting the nutrition it’s been missing with your previous dietary habits. And you certainly avoid the many negative effects of eating highly processed foods. When you embrace a healthy whole foods diet you may find that you are eating more than you’re used to. But, that’s okay. In fact it’s normal as you are now giving your body what it needs to function properly. 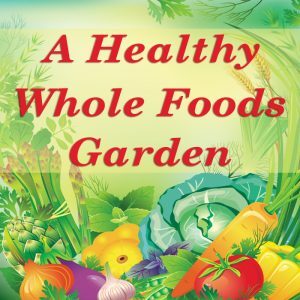 And to make it easier for you, check out this list of 50 whole foods you can choose from to get you on the right track. Unsalted and uncoated seeds and nuts are rich in protein, although you should eat them in moderation. 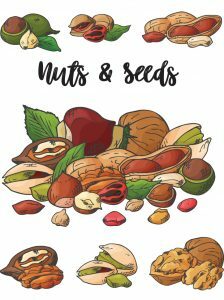 The fiber and healthy fats in nuts and seeds fill you up quickly. This keeps you from reaching for unhealthy fast foods and processed foods if you have a between meal snack craving. Eating nuts and seeds is especially important if you opt to forgo meat. If that is the case, then eggs are also an excellent source of protein. Whatever the case may be, you need to understand that every cell of your body requires protein and it has to come from somewhere. Eat raw, natural whole foods. You can pluck an apple from a tree and eat it in its natural state. With a sharp knife you can do the same with a pineapple, cantaloupe, or watermelon. This is how you get the most essential phytonutrients and minerals the body needs to promote overall health and wellness. Every time you process or cook raw foods, you remove a little bit of its natural goodness. 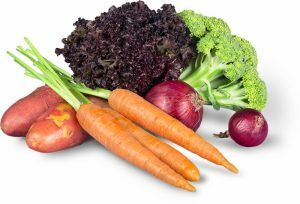 Overheat your veggies and fruit and you cook out enzymes that fight disease and boost digestive health. Try heating your plant-based food at or below 118 degrees to do the least amount of nutritional damage. By now you probably understand the very significant and very real rewards of eating whole foods. But processed foods are available everywhere these days. This may make it tough for you to shift your focus toward eating healthy and nutritious whole food. The following proven tips will help you make a smooth transition to eating healthy whole food. The first thing you need to do is to purge processed food items from your cupboards. Get rid of the unhealthy stuff to make room for healthy whole food purchases. Food with more than 5 ingredients listed on its nutrition label, generally means you’re looking at a processed food. If the food comes in a box, can, or sealed wrapper it is probably highly processed. This includes most breads and baked goods, refined sugar, frozen pizzas, microwave and pre-made frozen dinners, canned goods with high sodium content or added sauces, and cereal grains. Start purging your pantry of these items. Beef should be grass-fed, dairy products should come from animals that are free-range and enjoy a natural diet. Fish and other seafood caught in the wild qualify as whole foods. Get rid of your soft drinks and energy drinks, and make a shopping list. 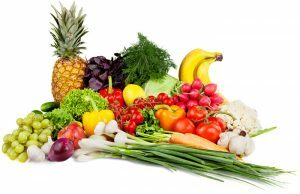 List your favorite fresh vegetables, dried fruits, acceptable meat, poultry and fish, legumes, nuts and seeds. Supplement/replace your coffee with herbal tea, and get ready to buy plenty of filtered water. Locally grown, raw, unfiltered honey is an acceptable sweetener in place of refined sugar, as is back strap molasses. 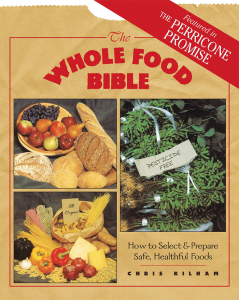 Author Christopher S. Kilham wrote “The Whole Food Bible: How to Select & Prepare Safe, Healthful Foods.“ This book is available in paperback and Kindle e-book formats on Amazon. It can help you decide what to purge and what to purchase when you’re starting out. The point is to ease your transition from processed foods to whole foods. What is motivating you to change the way you eat? Did your doctor say you are a prime candidate for a heart attack or stroke? Have you developed prediabetes or diabetes? Perhaps you want to add 10 or 20 or more healthy years to your life. Or, maybe you’re just sick and tired of being sick and tired all the time. Find the one big reason why you want to become healthier with a whole foods diet. Write this reason down and keep it with you and post it on your refrigerator door. Heck, you can make it the screen saver on your phone. Having a “big why” for deciding to eat whole foods as opposed to processed foods can keep you motivated and on track. When you prepare your own meals, you have 100% control over what you are eating. Unless you prepare it yourself, you really don’t know what you’re eating. There is almost no reasonable way to discover where food has come from and what it has been through. Even when you eat at your favorite restaurant, you still don’t know how your meal is prepared. You need to be more vigilant and ask questions. It’s not enough to just read the nutritional value on the label. You need to read the ingredients, as well. When you see ingredients on a can or box you can’t pronounce, put it back on the shelf. Any food ingredient ending in the suffix ‘ose’ is refined sugar, so drop it like a hot potato. If you don’t understand or recognize ingredients on a food label, you are almost always looking at highly processed food. The transition to eating healthier by eating whole foods may not be easy if you are a beginner. This is especially true if you’ve been making really poor food choices for years. So, take baby steps; slowly increase your intake of whole foods as you decrease your intake of unhealthy processed foods. Take it one meal at a time if you need to. As with most things in life, it’s about the choices we make. You can choose to stay the course you’re on and put your health at risk. Or you can choose a path that leads to a healthier you. It’s all up to you.